The career of Zinedine Zidane can be painted in many colors. White and dark green for his Algerian roots. Blue-white-red for France. Golden color for all titles he won. Black color for his last game in career. Zidane experienced so many emotional moments in his career and he always was on peak. He never took step back and even at the moment of retirement, Zidane was the best player in the world. First what I can tell you are my personal memories and emotions. Zidane is for sure one of my childhood heroes. Probably, many of you played football till late night and imagined yourself as one of the football stars of your childhood. At that time we didn’t have much information and we knew such names, as Ronaldo, Rivaldo, Zidane and few others. Imagination crossed children discussions - which one is better? Why was Zidane my favorite? Hard to say. Probably, it was because I was amazed by his performance in final of 1998 World Cup. His goals simply killed mighty Brazil and led France to their first World Cup title. There was also one thing I couldn’t understand back then - why he started to lose his hair? I knew that old people can get bald but Zidane was... Young. Then came Euro 2000 and another emotional moment in my life. Our family bought new TV. We had old Soviet TV till 2000 and then I, finally, could watch football on new Phillips TV. 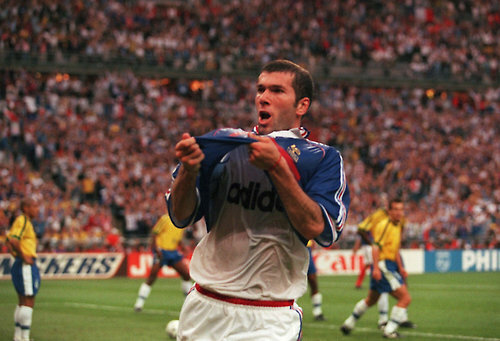 France won another title and Zidane was unstoppable that year. Less hair but even more impressive performance. Then came disaster in 2002 World Cup when Zidane couldn’t help his team in first two games because of injury. Third game wasn’t important anymore and even appearance of Zidane didn’t help France to get the win against Denmark. Euro 2004 was a bit more optimistic, despite surprising lose in 1/4 final against Greece. At that moment no one believed that Greeks will be crowned as champions soon after this win. Zidane had an amazing game against England. Extra time, just a few minutes till the end of game and France is losing 0-1. Zidane single-handedly brought victory for his team, scoring two goals in two minutes. Amazing! One thing that amazed me most is how good was Zidane. He never let his performance go down. Even in last season in Madrid, he managed to score 9 goals, no need to mention his performance in World Cup. It’s clear that Zidane was able to easily stretch his career to 2-3 more seasons. But he didn’t and I know that this fact saddened many football fans. Zinedine Zidane had a long way till he became a star and multiple times he has told that without his father Smail there wouldn’t be such achievements and fame as Zinedine had. “I was lucky to grow up in a difficult area. There you learned not only about football but also about life. There were a lot of poor families in this area and everyone had to struggle all the time. 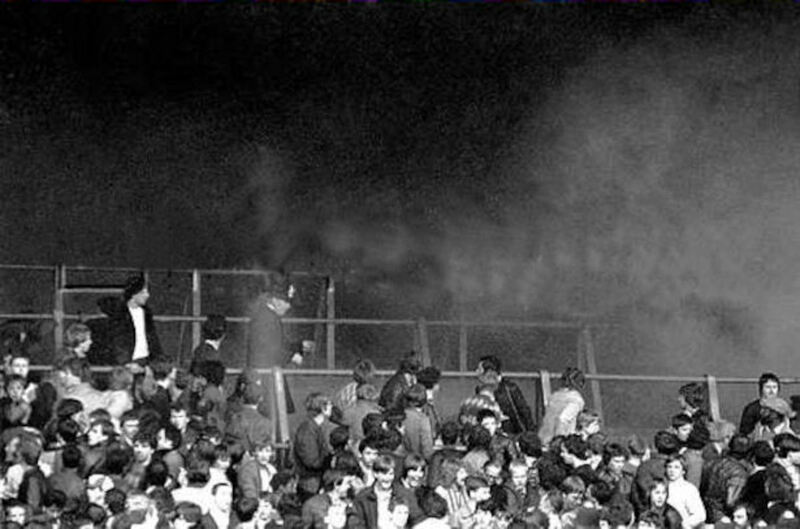 For us, music and football were the most important things.” Living in such area was nothing unusual back then. France had the wave of immigration from former colonial states in 1960’s. 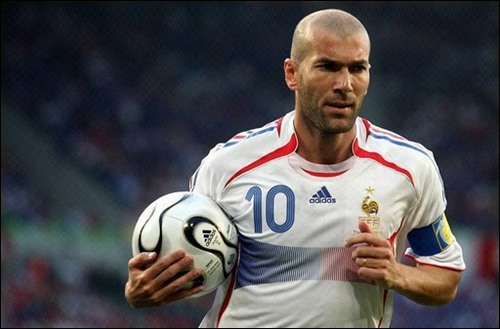 Zidane father was born in Aguemoune village, Algeria. Before Algerian war, he immigrated to France and first destination was Paris. It was a popular destination for immigrants but there were limited possibilities to find a job and earn money, so the family moved south to Marseille where Zinedine was born in 1972. It was also easier to live in the south of France because it was geographically closer to Zidane family homeland. France is multi-cultural country and there always have been some problems be-tween those cultures. Sometimes those cultures are so opposite that there’s lack of respect to each other and even minor conflicts can occur. Zidane also didn’t have easy time in childhood because of his origins but football gave great chance to earn respect and be honored all around the world. No matter what God you believe or what are your views on life, if football is the topic of interest for you - there’s no chance that you can tell negative things about Zidane as a footballer. Zidane was a great footballer and he gave major impact in lives of immigrant children. His father was Algerian and Zinedine felt proud about the father and his Algerian roots. ''I'm very inspired by my father. It was my father who taught us that an immigrant must work twice as hard as anybody else, that he must never give up. My father is an Algerian and I am proud that my father is Algerian.'' Zinedine Zidane. Many people tried to use Zidane in political games. People were talking about him a lot when he brought World Cup title to France. Many called Zidane as “son of French Algeria” after this victory and his popularity quickly raised. Moment of joy and euphoria didn’t last for long. Praise turned into critics and some media did their dirty job, stating that Zidane was accepted by French people only because of fact, that his father was Harki. Such statement was insulting because word “harki” describes the Algerians who fought for the French during the Algerian war and who were massacred or fled to France in its aftermath. The peak of all that critics came in 2001, when there was a historical match played, between France and Algeria national teams. Match turned into disaster and shame. Many fans booed him and had posters “Zidane-harki”. In the end, the match was stopped and abandoned, because of young French Arabs who invaded the pitch and chanted in favor of bin Laden and against the French state. Zidane came with the statement that his father loves Algeria and he has never fought against his own country. After this statement, all those critics were calmed down. Intentions to use Zidane as an influential weapon in political activities but he always tried to be neutral and stay outside all that. Zidane success still was a huge influence for young footballers with roots from former colonies. Players, like Samir Nasri, became part of “Zidane generation”. Young people who also had to face many problems and come from poor areas got example and inspiration. Zidane could find his way to success, why can’t others too? Zidane learned first football lessons on streets. 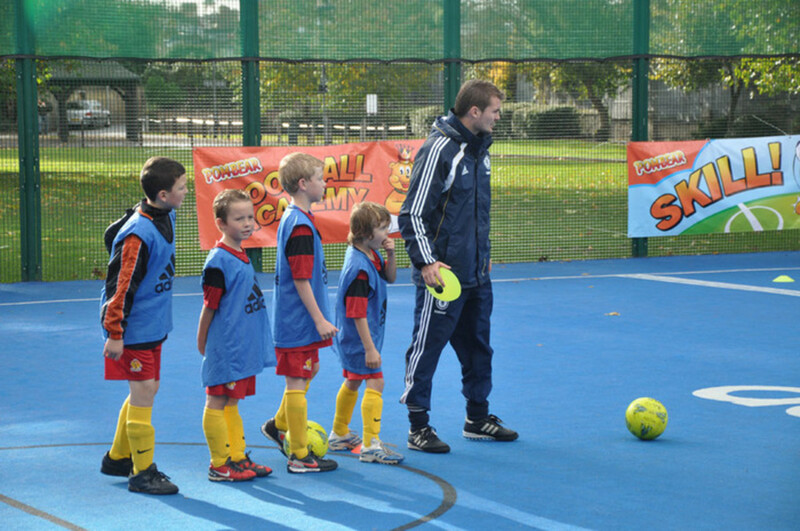 He admits that playing on streets gave him valuable experience and confidence. Despite growing up as a ghetto boy, Zidane learned how to be tough and calm player same time. La Castellane are was full of immigrants and for children, football was the most interesting thing to do. When Zidane was 10 years old, he got his first player’s license. He joined local junior team US Saint-Henri. The talent was quickly spotted and just after a year and a half year young footballer was invited to another club, SO Septimes Valons. At age of 14, Zidane was brought to Cannes by their scout Jean Varraud, who spotted young talent. He saw talent in young footballer who had good technique and ball control. One of the directors in Cannes wasn’t very happy that Varraud brought Zidane. It was be-cause of Zidane’s origins. “‘Putting an Arab in the team? Are you mad?’’ told director. Lucky for Zidane, there was another director Jean-Claude Elineau, who invited the youngster to leave the dormitory he shared with 20 other trainees and to come and stay with him and his family. Zidane later said that it was living with the Elineaus that he ‘‘found equilibrium’’. Cannes wasn’t easy period for Zidane and he needed to prove himself and learn to control his emotions. There were some provocations from spectators and opponents and Zidane always reacted with aggression. He had problems but he didn’t get weaker because of them. Talent can’t be lost so quickly and Zidane slowly impressed coaches and got his place in first team line-up. When he scored his first goal for Cannes, president of the club made present for the youngster and bought him a car. Cannes was not only the place, where Zidane grew into professional footballer but also a place, where he found his love, Veronique. The experience was gained, love was found and Zidane moved to Bordeaux. It was a first major step forward in his career. Team with higher ambitions and some bright talents. Zidane became an even more consistent player. Emotions sometimes still weren’t under control but it had less impact on his performance. Despite scoring only six goals while playing for Cannes, Zidane improved his scoring abilities and the first season with Bordeaux turned to be most productive one in terms of goals. 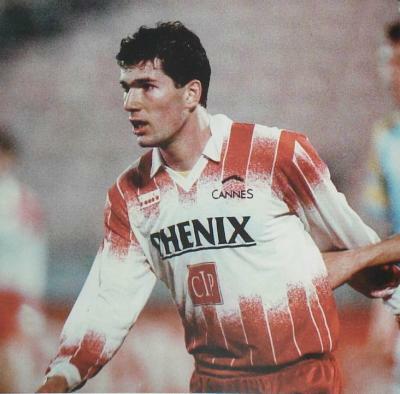 Zidane scored 10 goals in the French league and became the top scorer in Bordeaux team. Having such players, as Zidane, Lizarazu and Duggary should bring success. Young talents grew into mature players and Bordeaux won Intertoto Cup in 1995. This victory gave Bordeaux chance to play in 1995/1996 UEFA Cup edition and French team used their chance well. Bordeaux managed to reach final where German grand Bayer Munich was waiting for them. In the first leg of finals, Zidane wasn’t playing and Bayern won 2-0. Home game for Bordeaux promised to be a bit more optimistic and with Zidane on the pitch. Reality turned to be much harder. French team lost 1-3 and even Zidane wasn’t a solution to stop mighty Bayern team. This season was simply great for Jurgen Klinsmann who scored 15 goals in UEFA Cup. The performance of Zidane was noticed and Italian grand Juventus made one of the most successful transfers in the history of the club. Italian club bought Zidane for just €5 million. It’s nothing if we look at the amount of money Real Madrid later spent on Frenchman (€75 million!). 5-year period in Italy was raise of Zinedine Zidane. It was a fantastic period in his career. Two Italian titles, two Champions League finals, World Cup, European champion title and many other awards. Zidane became leading player in the national team, his performance in 1998 World Cup final will be remembered for a long time. Juventus fans loved Zidane. He had some struggle in the beginning as he still had some problems to control his emotions in some moments of a game. There were opponents who tried to provoke him but Zidane slowly learned how to ignore such situations. In 80’s Juventus had another French legend - Michel Platini. But he was quite opposite to Zidane. Platini enjoyed his popularity but Zidane was less interested in the nightlife of Turin. He simply spent his free time with his wife and kids. Nothing lasts forever and Italian period for Zidane didn’t last for a long time. He spent 5 years in Italy and it was clear that Zidane is ready for a new challenge. Two failures in UEFA Champions League finals were extra motivation to win this tournament. Juventus weren't able to do that and in beginning of the 21st century, there came interest from Spanish grand Real Madrid. Juventus were stating that Zidane will stay but statements were false and in the end, both teams reached an agreement. Real paid simply enormous money for Frenchman and they got an essential part of Los Galacticos squad. Period of Spanish career, probably, was the most peaceful for Zidane. He was well known and well-respected footballer. Galacticos era brought many football superstars to Madrid. Luis Figo, Rolando, David Beckham and Zidane joined local star Raul, rising goalkeeper Iker Casillas and Roberto Carlos - Brazilian star brought to Madrid in mid 90’s. Such squad was able to bring success and titles. It was also a good way how to promote Real Madrid brand outside the Europe and players like Beckham had fantastic popularity in Asia. Real had various exhibition tours in Asian countries. Such events brought good income for the club. The idea of Galacticos initially was successful. 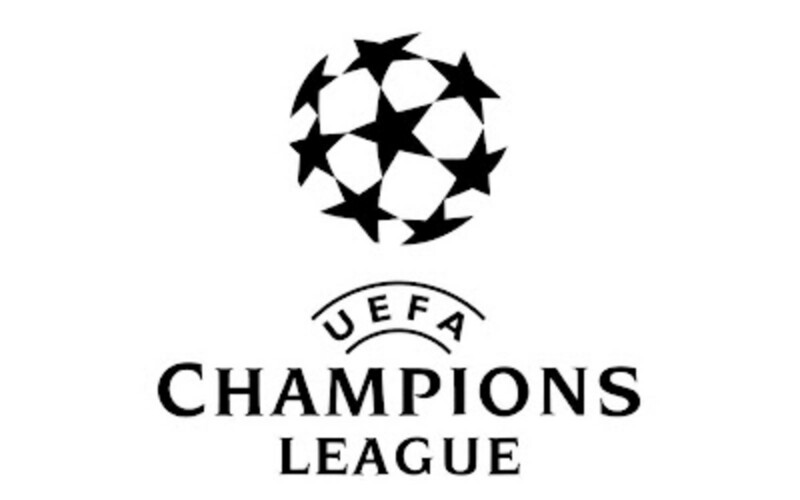 Left foot volley goal from Zidane helped Real to win UEFA Champions League in 2001. Zidane won few more titles with Real but it wasn’t the result everyone expected. Club was full of stars and potential was amazing. All expectations were ruined by the president of the club who fired head coach Vicente del Bosque. It was a huge mistake because Del Bosque was able to control team and ambitions of star players. What was the role of Zidane in this story? He was a key player for Real and the first season gave him so wanted Champions League title. In five seasons he spent in Madrid, Zidane was simply great. The performance was consistent season after season and age weren't an obstacle for him. It’s clear that Zidane was able to play few season more on highest level but he decided to retire on top, on the peak of his career. While Perez & co were doing business and making money thanks to their star players, Zidane was a silent general who did everything to lead his team to victories. Sadly, football is a team sport and no matter how much one individual will try, there’s still 10 other individuals you need to work with. Zidane was able to create moments out of nothing but not always ideas of Frenchman were used the right way. Playing for Real Madrid was quite simple and in the same time, astonishing proof that Zidane is a simply amazing footballer. Imagine team, consisting from Raul, Ronaldo, Luis Figo, David Beckham and other football superstars. Now try to choose one central figure out of all these players. Which one would you choose? I know that Vicente del Bosque had a lot of headache because of this question. He had to build a team around Zidane and other players were just a part of this talented squad. Zidane was the leader and a central figure in Madrid. That tells everything about the class of Zidane. Shortly before 2006, World Cup Zidane came out with an announcement about his retirement from football. It was clear that in World Cup we will see last games in the career of Zinedine Zidane. I was really surprised that he retires. He still was on top and you couldn't say that there’s a 34 years old veteran playing for Real Madrid and France national team. Zidane was good as always. France had a relatively lucky draw for a group stage. Les Bleus had to face Switzerland, Togo and South Korea. Three solid teams but nothing more than that. First games weren’t easy for France and situation slowly became dramatic. Two draws, Zidane got 1 game suspension and France had to play the final game in the group stage against Togo without their captain. The situation wasn’t very optimistic but this time won, thanks to goals by Vieira and Henry. Second place in the group meant that France will have to play against Spain. Fact that Les Bleus advanced to the next round was very important. Previous tournaments weren’t very successful and 2002 World Cup was simply a disaster for France. Zidane made comeback against Spain and in the end of second half France was simply brilliant. Vieira took the lead for Les Bleus and Zidane scored a solo goal at the extra time. 3-1 and a confident victory for France and their next opponent were old friend Brazil. Pentacampeões were looking for a revenge. Everyone remembers how 1998 World Cup ended. Hopes of Brazilians didn’t turn into reality and France won once again with minimal result 1-0. The only goal was scored by Thierry Henry after a great cross from Zidane. Semi-final was a repeat of the Euro 1984 and Euro 2000 semi-finals. Once again Zidane&Henry brought victory for France. Henry earned a penalty and Zidane converted it into the goal. The result was equal as in the previous game against Brazil and France was in final for the second time in the history of World Cup. In final there was another old friend waiting for France. 9 July 2006 was a special day. World Cup final and last game for Zinedine Zidane. We all remember how this match ended. Not the way how many would like to see. It can be described as dramatic, tragic and even shameful. Such act in the final probably could ruin reputation and legacy of many players. But that’s not the case of Zidane. Yes, Materazzi did his job well and won World Cup but will someone remember him as a hero? Probably, no. He helped to achieve this title the cheap way. Zidane retired and his legacy continues to be alive. He has set an example for many young footballers and his career showed all sides of human nature. No one can live this life without sins or mistakes. Same I can say about Zidane. He wasn’t saint or ideal person. He had his weaknesses and dark sides of the character, but we still gonna remember Zinedine Zidane as one of the greatest players in the history of football. He was one of the best players to ever play the beautiful game of football. I loved watching him, he was a great player and a great person. He will go down as one of the greatest of all time! Without a doubt he is the best French player (maybe on the same level as Platini). Its his composure i like best. Love Zidane, I think we have to get past this greatest player nonsense, soccer is a global sport for a reason, the players we grow up watching, we idolize as young adults, and the ones we get old with are never the same, place to place or generation to generation, we must all respect that. THeirry Henry, Zinedine Zidane, Ronaldo ROnaldhino, Baggio, these are the players I grew up watching and adored. I like messi great player, but he wasn't my childhood player. I love PEle, love watching his videos, honor the respect he is given, but I never got to see Socrates and Garrincha and Pele. So the best ever is a mix, the legends whose names everyone knows and you are forced to respect, MEssi will be one of those one day, the ones we grew up watching and the ones we got old with. I look at Pirlo as a prime example of one we are watching leave one day soon.